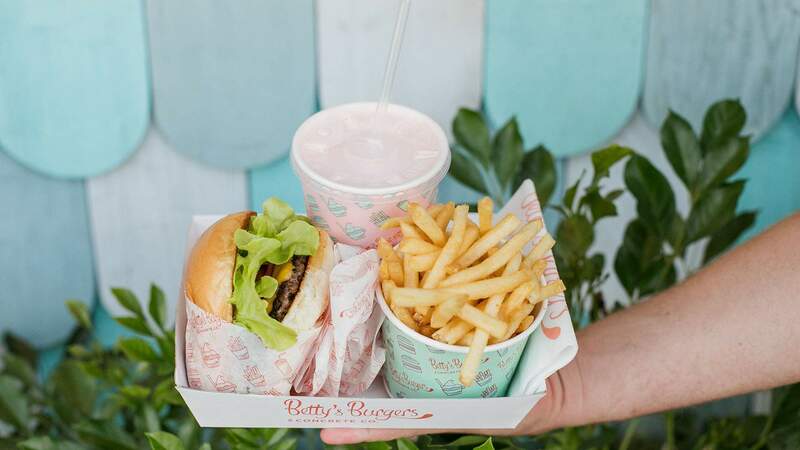 Less than five years after opening its first eatery in Noosa, Betty's Burgers keeps expanding its empire — and its next Brisbane outpost will pair Shake Shack-style burgers and desserts with one of the city's best new precincts. 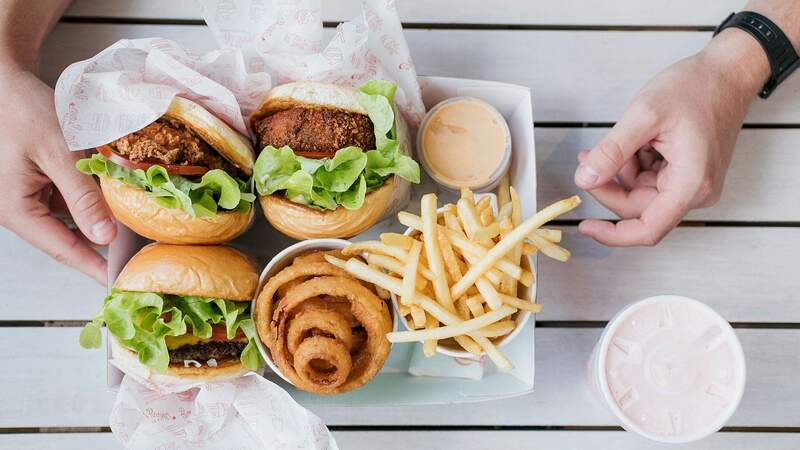 Come late May, Howard Smith Wharves will be home to Brissie's next Betty's Burgers joint, which means tucking into burgs, onion rings and frozen custard while taking in a river view. Given the chain's coastal beginnings, Betty's has always had a beach burger bar vibe, so its new waterfront digs seem rather fitting. Less than two years after finally making the move from Noosa and the Gold Coast to Brisbane, the fast-growing brand will now boast four across the city, with HSW joining existing stores in Chermside, Newstead and Indooroopilly. As always, burg-lovers can expect plenty of their favourite dish, thickshakes and five types of 'concretes' — those aforementioned frozen custard sweet treats. 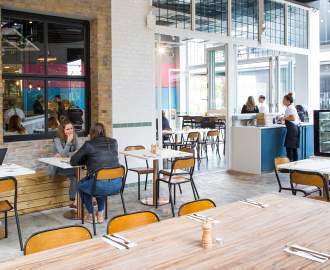 At HSW, Betty's will sit alongside a huge range of places and spaces — a riverside brewery, overwater bar, Greek taverna and cliffside hotel among them. And for those keeping count, that'll make 11 Betty's stores in southeast Queensland, with further eateries in Sydney, Melbourne and Adelaide. Betty's Burgers will open at Howard Smith Wharves, 5 Boundary Street, Brisbane in late May. Keep an eye on the burger chain's website and Facebook page for further details.